I would like to start by thanking everyone who visited my blog. The turnout was wonderful, and so much more than I expected! The excitement generated by people was infectious, drawing me along on an all together different, but amazing ride! I would also like to thank Silverwood Theme Park, who without their support, none of this would have been possible. Over the last several weeks, I have worked with some of the most amazing people in any industry, and I am thrilled knowing even though my blog contest is over, I have made some truly amazing friends. Now, since everyone wants to know the names, without delaying further, I will list them in randomly drawn order. If you see your name here, please contact me at shelbie@shelbieknight.com and provide me with your mailing address. I will be mailing your tickets out this week, so you can have them to schedule your time at Silverwood Theme Park as soon as possible. CONGRATS to each of you on your winning draw! I hope you have a wonderful time when you visit Silverwood Theme Park - and I would love if each of you, during your visit, would take a picture of you and your guest next to your favorite ride, event, etc. and email it to me. I will be putting together a follow-up posting with all of your pictures, once I receive them. If you feel uncomfortable showing yourself, and your guest, in the photo, a picture (or pictures) of your favorite time at Silverwood would be wonderful! It helps make it possible for me to do wonderful giveaways like this in the future. Again, thank you so very much to everyone who entered! With the amazing amount of entries I received, I can see there are so many people who would love to visit Silverwood Theme Park - so, on that note, remember the newly opened contests! You can read about them in my blog post below. Silverwood just started two new contests, with the prize being free tickets, so don't despair if you didn't win here.....JUST SCROLL DOWN TO THE NEXT BLOG ENTRY FOR MORE CHANCES TO WIN!! UPDATE: All of the Silverwood Theme Park winners have claimed their tickets! CONGRATS to all of you, have a wonderful time! Remember to peek back and my blog now and then, and pay attention for announcements on Facebook and Twitter, as I do drawings frequently! I just received some updated information on new contests that Silverwood is running, and I wanted to pass them along to you! When I wrote the blog article, I did not know that the essay contest was already closed; I apologize for this oversight. But, better yet, you now have two more BRAND NEW contests open - that are great for children and adults both! I wanted to make sure and pass the information along so you have the most up-to-date information. Have a wonderful week!! Read on for a chance to win!! First, I would like to take a minute to tell you about Silverwood Theme Park (STP), and a few of the events they sponsor for children and their families. 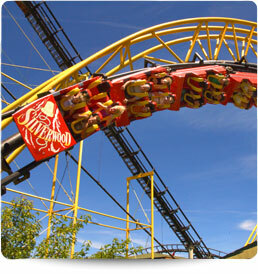 Located in beautiful North Idaho, Silverwood Theme Park has over sixty-five rides, slides, shows and attractions, including four roller coasters! 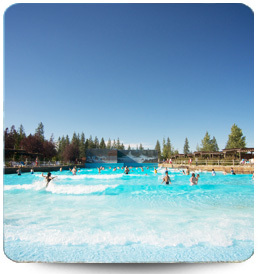 Boulder Beach Water Park, a steam engine train, live entertainment, restaurants and so much more! They have a theme park unlike any I have ever experienced! In addition to a theme park filled with various, incredible rides and engaging events, right next door is Boulder Beach Water Park, encompassing an astounding twenty-one acres! Pictures and words cannot possibly do it justice; to see it in person is astounding, and literally takes my breath away! 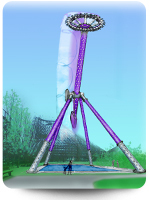 In addition to an amazing rides, a water park which would make a dolphin drool, incredible family entertainment, and events, Silverwood has graciously agreed to allow me to give away five (5) pairs of tickets to their wonderful establishment! That means you, and someone of your choosing, can go to Silverwood yourselves, experience the thrill first hand - experience the fun fist hand, experience the terror.....first hand. If you are interested in an opportunity to visit Silverwood Theme Park, to experience a day of pee in your pants excitement, enter the drawing below! Silverwood has asked that I run the drawing for a one-week period of time. After which, Rafflecopter will draw the five winners. I will then contact you to arrange to mail your tickets to you!! How easy is that?! 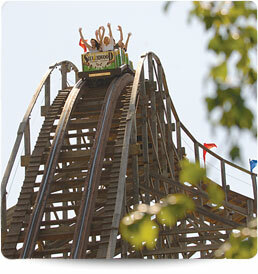 Remember, this contest is open to all - whether you have visited Silverwood Theme Park in the past or not. For each item you complete in the contest, which are as easy as clicking a link, you are granted the listed amount of entries! I can assure you, Silverwood is an experience like no other. 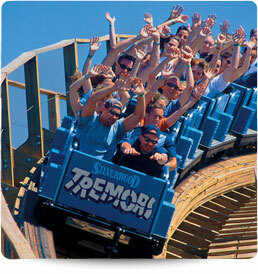 When they say it is "The Northwest's Largest Theme Park," they are not kidding, or over-exaggerating! To see it in person is astounding! If you are interested in seeing some videos showing Silverwood Theme Park, their rides, the grounds, and other exciting events, click HERE to see some amazing videos! Thank you Silverwood Theme Park! What you did for my family, what you do for families, marks people's lives in ways you cannot possibly imagine. You are not simply a theme park, but a place where fond memories are created; memories which will last through childhood and beyond. For this, and so much more, we thank you! You are an asset to our community. First, I have been very busy these last couple of weeks, as I am dedicating as much of my free time to writing as possible. Added to this, I have both of my kids home on Summer break, and my free time has been slim. Regardless, I have managed to put in some good work on my first to-be-published piece. Exciting news on the publishing front is that I am in talks with a publisher who is interested in representing my work, as well as offers from a few others! I am thrilled and honored to have the opportunities presented to me, and hope to have announcements as to who I will be working with in the near future. Until I sign a contract, I will not release any names - for obvious reasons. 4 - Kathy Love & Erin McCarthy - "Fangs for Nothing"
These are just a few of the wonderful Authors whose work I read, so if you are looking for a wonderful read, please check them out!! Have a wonderful week everyone...and until next time....Big Hugs!